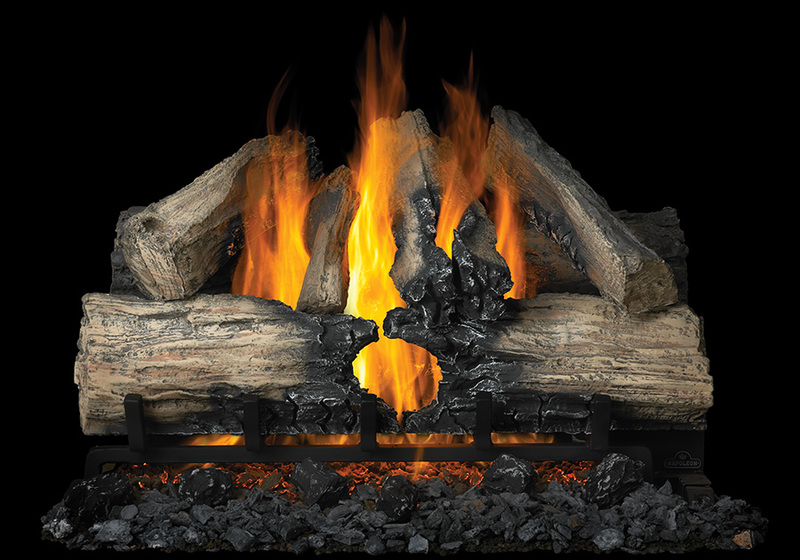 The Napoleon Verso™ 32 Reversible Gas Log Set provides 32-inches of warmth and style. 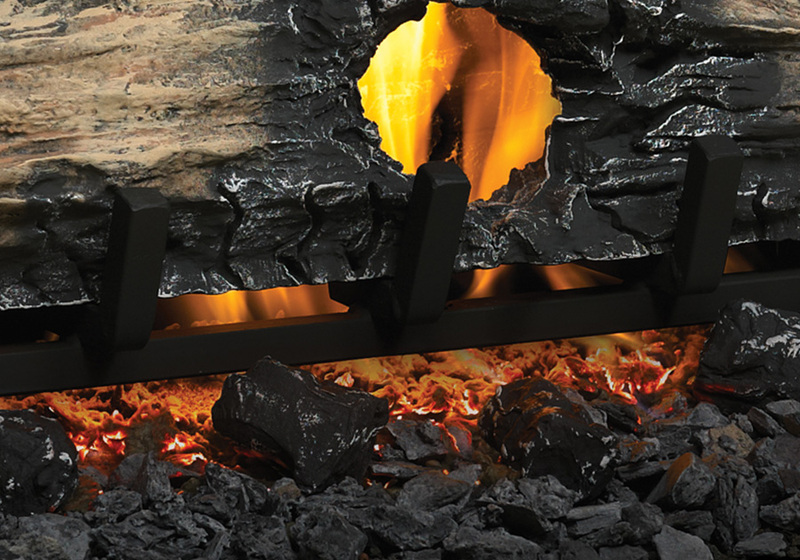 Imagine a wood burning fire without all the mess and work. 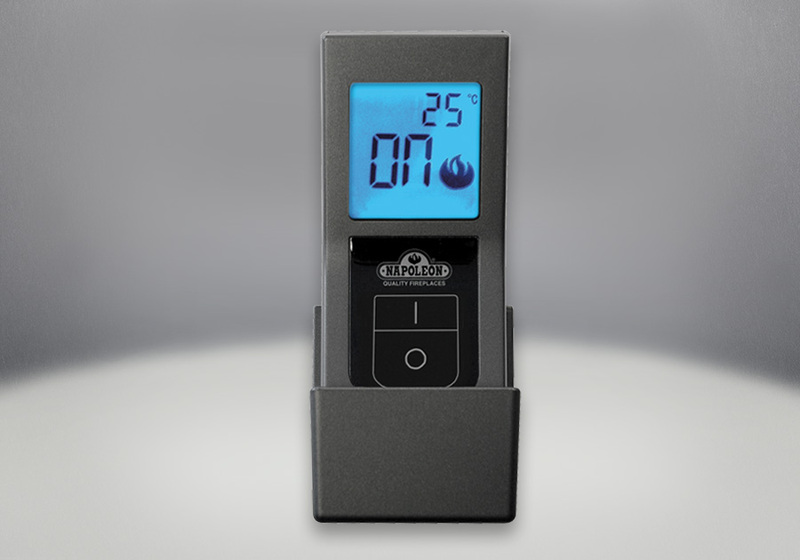 Two looks come in one box, a convenient way to quickly update your old wood burning fireplace with the convenience of a gas insert while still keeping the look of real wood. 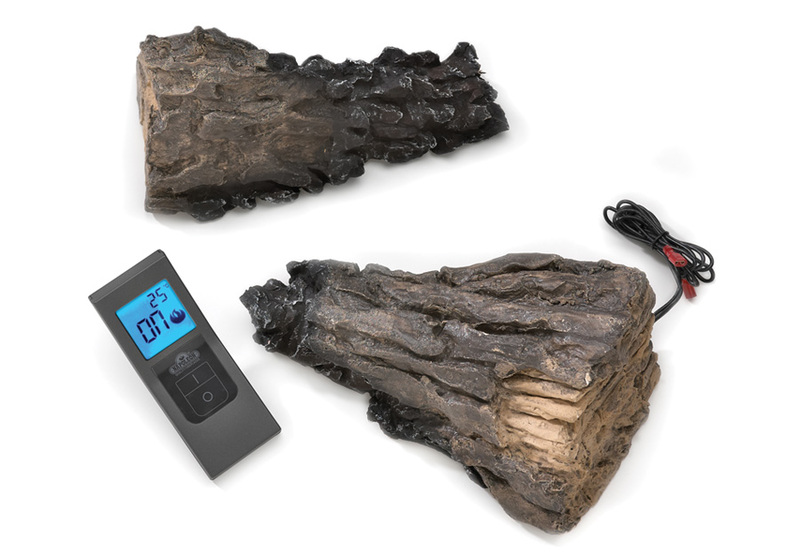 The split log or natural tree bark looking ceramic fiber log look is further customizable when you place the charcoal and glowing embers where you want. 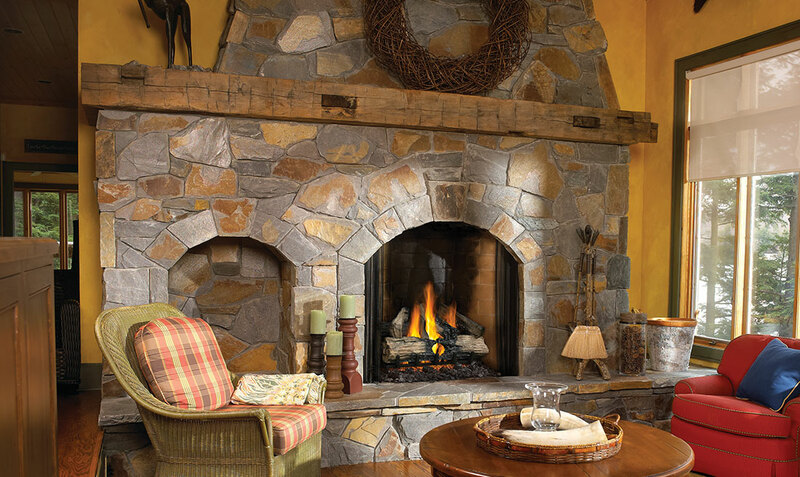 Get the look of a real wood fire without the hassle. 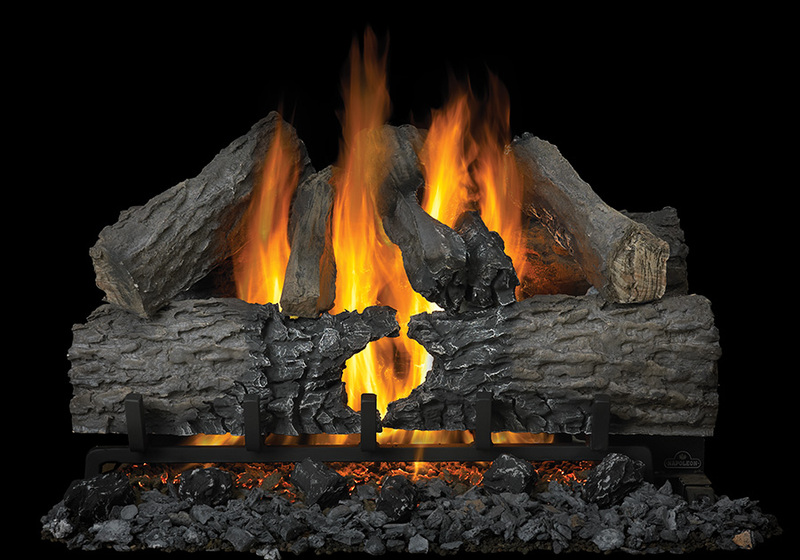 Each unique, hand painted, ceramic fiber log set has two sides. 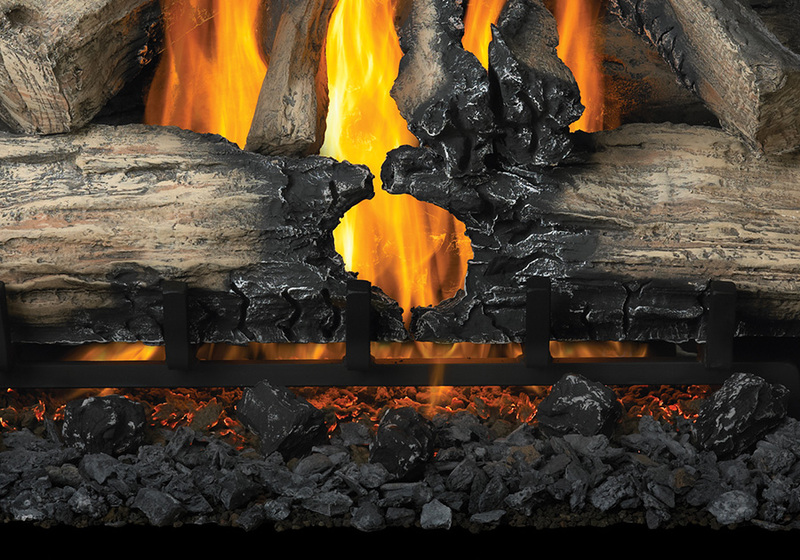 You can set them up one way, and when they are cool, turn the logs around for an all new look.